In 2011, we formed OpenData.cz as a group of Open Data enthusiasts from Charles University and University of Economics in Prague. In that time, we started promoting Open Data among Czech public bodies as well as prospective consumers. As academicians we also started our own research in the area of Linked Open Data publication, visualization and exploration.During the first two years of our Open Data activities we have developed a lot of contacts with public bodies as well as the community of potential Open Data consumers in the Czech Republic.We had also created several interesting research results in the area of Linked Open Data. We had developed interesting software prototypes – a tool for Linked Open Data preparation and publication (a predecessor of the current COMSODE’s UnifiedViews) and a tool for Linked Open Data exploration and visualization (a predecessor of the current COMSODE’s LDVMi). In that time, we started looking for partners who would help us to further develop our results and make them fully applicable in practice of (Linked) Open Data preparation and publishing. We have met with EEA and started preparation of the proposal of the COMSODE project that has run between October 2013 to September 2015. Today, we are at the end of the successful COMSODE project. The COMSODE consortium has managed to integrate our previous research results to a platform called Open Data Node (ODN). Our former tools were further developed by the consortium and integrated to the platform. In particular, our tool for Linked Open Data preparation and publication has become UnifiedViews, with its own web site (http://unifiedviews.eu) with several interesting partners cooperating on its development and support. We worked hard together with our partner EEA to make it a mature tool ready for the production usage. And our tool for Linked Open Data visualization has become LDVMi. It also has its own web site (http://ldvm.net). Our team at Charles University has extended it to an easy to use tool for Linked Open Data exploration, analyzing and visualization. Last but not least, we had a possibility to materialize our experience and know-how with (Linked) Open Data preparation and publication in a form of a methodology which now serves to all users of ODN. As Open Data experts who communicate with data publishers as well as consumers on a daily basis, we know that working with Open Data or even Linked Open Data is not an easy task. Publishers need software tools which enable them to manage their data sets, prepare them for publication and finally publish them and present them to prospective consumers in a way that is easy to understand. Moreover, they need a “guide” who helps them with the publication process. COMSODE’s ODN platform accompanied by methodologies gives them exactly what they need. ODN’s internal data catalogue enables them to manage their data sets before they publish them. They can use ODN’s UnifiedViews component to prepare their data sets for publication (as 3* data or even 5* Linked Open Data) and publish them via ODN’s API and public data catalogue. Consumers will profit from the ODN platform as well. They can use the internal catalogue to manage a set of data sets they need to consume. They can use UnifiedViews for the consumption of data sets. This includes gathering, cleansing and integration of the data sets. Besides, they can use the public data catalogue if they want to give something (= some Open Data) back to the community. For both, data publishers as well as consumers, the added value of ODN is clear – it is an accessible software platform which helps to manage all necessary activities when publishing or consuming Open Data. For our research group at Charles University, the added value for COMSODE is not only in the fact that the consortium helped us to integrate our research results into a successful software platform. Thanks to the COMSODE project, our research results will spread to the (Linked) Open Data community across the Europe. This would be very hard for us or even impossible if we had worked on our own. In our future work after the end of the COMSODE project, we will focus on public bodies (mainly) in Czech Republic and we will help them with publishing their data as Linked Open Data. We can now offer them a fully functional software platform and explain them the process of opening their data easily. We will also continue in our research activities in the area of Linked Open Data preparation, publication, exploration and visualization. 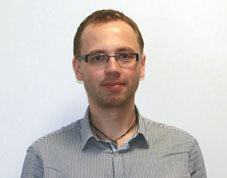 Dr. Martin Necasky is an assistant professor at DSE Charles University, Prague. He has published more that 45 refereed conference papers and journal articles. His research focuses on conceptual modelling, information integration, web services, semantic web, and Linked (Open) Data.